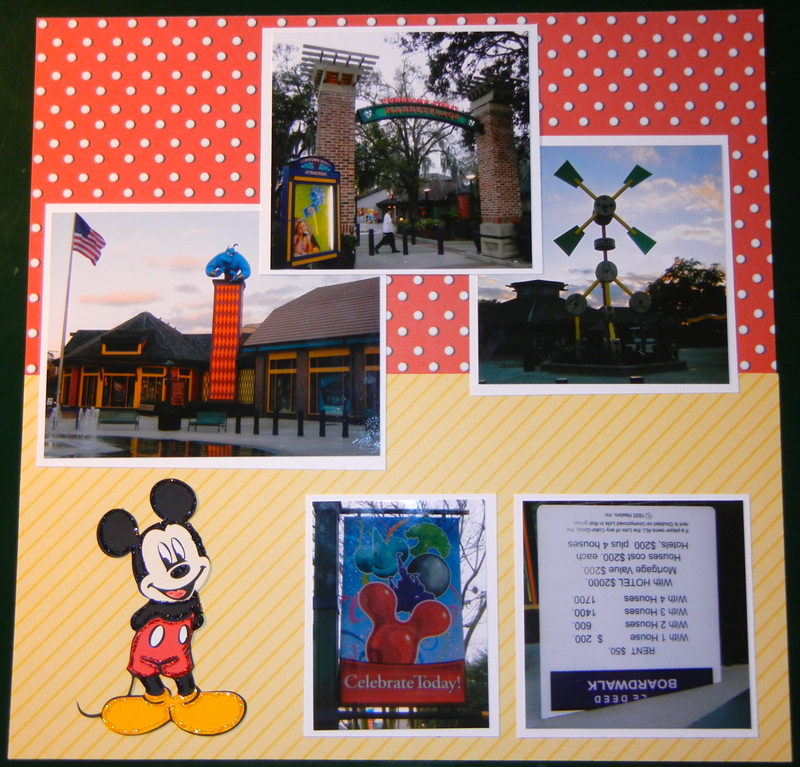 My Downtown Disney 2 pager. The background paper is a double-sided sheet of Queen and Company Magic paper cut in half and then stuck onto some white cardstock. The Mickey in the corner is cut with the Mickey and Friends Cricut cartridge. I outlined Mickey using XMas Red Stickles (shorts), Yellow Stickles (shoes), Fruit Punch Stickles (tongue), and Black Diamond Stickles (head, body, legs).